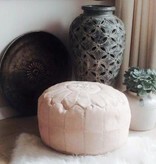 Authentic, Moroccan ottoman | Simply Pure - simply pure. In ancient times the ottoman was the most important seating in the house, so the pillow was always beautifully decorated. As you can see, not much has changed since then! 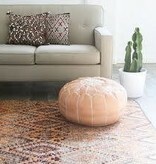 Because of its elegant shape and stylish patterns, this beautiful furniture is an enrichment to every interior. 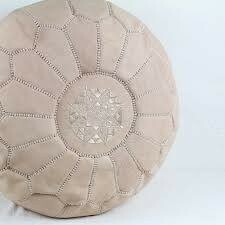 This Moroccan ottoman is also very durable. It’s handmade of 100% leather and therefore extremely strong. 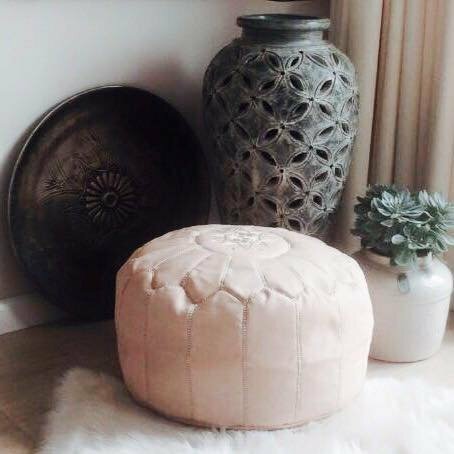 The ottoman is 30x50cm in size and available in the colour ‘natural’.